Recently we released a product for creating Local Business Directories which I named Local Biz Alpha and at the same time i created a private Facebook group to work on a group project with customers from the GURU package bundle. Early on the that group project I realized that this wasn't going to go the way I was hoping or expecting with some divisions on opinion that i expected would escalate as it went on. At that time I decided that I would create step by step tutorials for everyone to follow and now around two months later we are ready to kick on again with the project but done in a different way. Four major things stood out when i started creating the tutorials. The URL Finder I was using to find broken links in YouTube in order to find relevant expired domains was not adequate. So we rebuilt this tool out as a stand alone software which we called VidSpy Alpha and had it built out to make it much better for the user and identify expired social accounts, provide spam scores for domains and provide more data on the videos and domains as well as being able to reverse engineer YouTube channels that are no longer being managed. The Local Biz Alpha plugin was great BUT... It was taking way too long to create campaign after campaign and a few other extra features could be added to make it 10 x more powerful. So we have added a bulk campaign feature which will be an upgrade which allows us to add multiple locations at one time and the tool will create bulk campaigns in one click. We have added the ability to add additional text and videos into campaigns with familiar WordPress features with visual or html and we have added ability to choose how many results to pull in from the Google api for every campaign. We still have a couple more bits i want to add but this is a major upgrade and means that we can build entire sites out on ONE click instead of one campaign at a time! Building PBN's was way too difficult, it needed to be done quickly and easily for the benefit of being able to save money on content and outsource services. So we created Expired Domain Alpha which is a WordPress plugin that can rebuild domains from wayback machine into WordPress in ONE click and at the same time it uses the original URLS that were on that domain from the snapshot preview that you choose to rebuild from. This Is A Huge Breakthrough for PBN Building! On top of that we also built in the ability to do 301 redirects from the domains AFTER you have rebuilt it and got it re-indexed and added some additional off site SEO strategies that are quick and easy to do as well as being low cost in order to also rebuild the SEO metrics. Now, many people will tell you that SEO metrics mean nothing and i agree to an extent, however, with expired domains that you intend to use for 301 redirects, then its best IMHO - to rebuild those metrics and redirect only AFTER the metrics have improved for the majority of the posts and pages in that domain. This 301 redirection tool makes this easy to do without having to touch htaccess and you can also still access wp-admin in case you want to change or edit or delete the redirect. The truth about guidelines is this... I honestly don't care much for them because if we do, then the alternative is that other people will not and they will have an advantage and that includes outreach, using cheap interns to create mega content for next to nothing and buying sponsored links among other stuff. Very few people are truly white hat. So its time to kick on with the group project! If you are a member of the group project then the great news is that we will do a webinar blitz of 4 webinars per week for the next 3 weeks to get through all the steps and using the new tools. 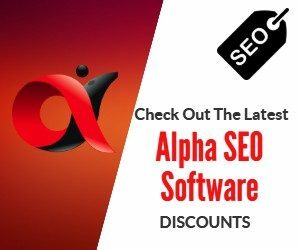 You will get a ten site license of Local Biz Alpha Xtreme for to do the group project too which is on top of getting 10,000 Alpha Networks credits, the Alpha Networks desktop tool which also includes the original URL finder and when we have MassMedia SEO back you will get 10 Press Release Credits too. That's what i call over delivery! We have a launch tonight that i need to deal with first for VidSpy Alpha but the webinars start this coming week and it will be focused on expired domain strategies to begin with and then we will go into the Local Biz Alpha site building, keyword research and deeper strategies. 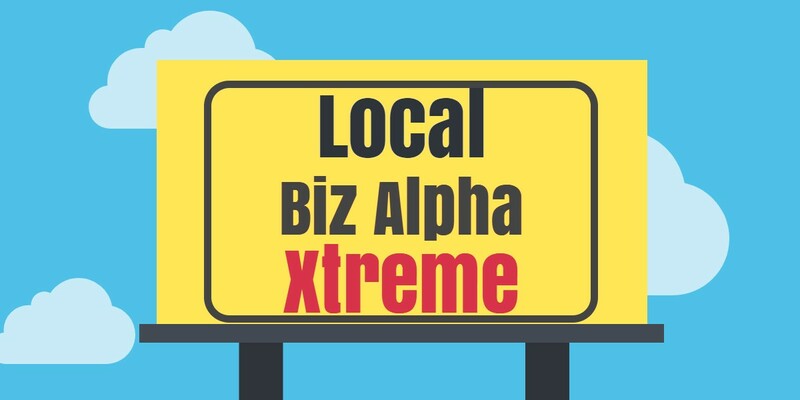 The original version of Local Biz Alpha will no longer be available and there is now a price increase that includes the Xtreme version features. The Group Project is closed now too for new members as this was meant for 50 people max and we have already exceeded that. The Group Project Bonuses Will Not Be Available To New Customers Either, But I Will Release "Some" Of the Group Project Training.